TranscribeMe Customer Support provides excellent experiences for our clients and monitors business development to ensure customer success. What are the different ways I can submit my audio for transcription? Customer Portal Account: Allows you to submit pre-recorded media files in all major formats. Please see our Customer Portal Walkthrough for more information. Mobile Apps: We have a mobile transcription app available for iPhone and Android that allows you to record content and submit for transcription. Our iPhone app also allows you to import audio directly from apps like Dropbox and Voice Memos. NVivo: Transcription can be ordered directly through your NVivo Project and will be delivered to them same place once it is complete! Evernote: Now you can link Evernote directly with TranscribeMe! Makes ordering transcripts as simple as tagging your files for transcription and transcripts are delivered directly back into Evernote upon completion. Bulk file sharing options: For customers with large volumes of audio, we can help you integrate with our FTP site, or even via API for convenient mass file delivery. Please contact our sales department for further information. How do I reach sales to discuss my custom project requirements? TranscribeMe has a professional services team that can help you with your custom requirements. Please contact us with your project details and we will be in-touch with you shortly! Our standard payment method is by credit card. We accept Visa, Mastercard, American Express, and Discover Card. If you have bulk transcription requirements and your company, school or organization requires payment by invoice, please contact us to get set up! Yes. Please visit our API page to learn more. We have successfully integrated with a number of companies including Evernote, IPSOS, and NVivo. With a well-documented and robust API, we are always looking to form complimentary partnerships. What is TranscribeMe’s confidentiality policy? TranscribeMe provides best-in-class security and confidentiality. Our process of segmenting audio ensures confidentiality by preventing any one transcriber from having full access to your recordings. The full recording is only available to our Quality Assurance team, all of whom have signed NDAs. Moreover, TranscribeMe’s platform is built on Microsoft’s Windows Azure cloud solution – which is best-in-class in regards to data security. If you have bulk transcription requirements, and require us to sign an NDA specific to your needs, please email us and we will be in touch. What is your accuracy guarantee and how do you achieve it? TranscribeMe aims to deliver transcripts that are 98-100% accurate. We have a 2-tiered transcription and review process, ensuring highly accurate transcripts delivered fast. First, your audio is digitally enhanced and sliced into smaller segments using our own specialized software, and then our team of transcribers converts your audio into text. From here, our quality assurance personnel review the transcripts before they are sent back to you.To achieve this level of accuracy, we require clear, audible files. Please see our blog post on creating high quality audio. If the audio quality is low, our transcribers will make a best-effort, but the transcript will most likely not achieve the high standard we aim to deliver. Our standard turnaround guarantee is 0-3 business days (9am-5pm PST time zone) for high quality audio files that are 90 minutes or less. For files between 91 and 149 minutes we ask for 4 business days. Files over 150 minutes will take 5+ business days.We offer a rush turnaround service in 1 business day (PST), for high quality audio files that are 70 minutes or less. If, however, you submit low quality audio our turnaround times may be extended. Turnaround times are an indication for best delivery, however actual delivery varies based on input audio quality and availability of transcribers with matching skills to do the transcription work with high accuracy. Feel free to contact us if you need rush delivery for files over 70 minutes or of low quality audio. What is your First Draft Service? TranscribeMe’s First Draft transcription service passes through our initial transcription step, where a team of transcribers work on your content in-tandem. The transcript is returned to you without timestamps and speaker IDs and does not pass through a final editing step like our Standard and Verbatim service. We remove “umms”, “ahhs”, “likes”, “you knows”, and other filler words in addition to stuttering. We do not correct grammatically incorrect language – we transcribe the audio exactly as it is. Turnaround times are the same as our Standard and Verbatim transcripts (2-3 business days standard service) but will likely be completed much sooner. Our First Draft service comes with an expected 90%-95% accuracy, but it is not guaranteed and will vary based on audio quality. Instructions on ordering our Rough Draft Service can be found here and you can learn more about the product and connect with our Sales Team here. Check out samples of our First Draft transcripts, compared to Standard and Verbatim here. Can I see a sample of your First Draft Service compared to your Standard and Verbatim products? Standard transcripts go through both an initial layer of transcription, and then to our Quality Assurance Team to output our guaranteed 98%-100% accuracy. These transcripts remove “umms”, “ahhs”, “likes”, “you knows”, and other filler words in addition to stuttering. Please note that with our Standard service, we do not correct grammatically incorrect language – we transcribe the audio exactly as it is. Verbatim transcripts go through both an initial layer of transcription, and then to our Quality Assurance Team to output our guaranteed 98%-100% accuracy. We capture speech exactly how it sounds. This includes all filler words, stuttering and speech errors. TranscribeMe’s First Draft transcription service passes through our initial transcription step, where a team of transcribers work on your content in-tandem. The transcript is returned to you without timestamps and speaker IDs and does not pass through a final editing step like our Standard and Verbatim services. We remove “umms”, “ahhs”, “likes”, “you knows”, and other filler words in addition to stuttering. We do not correct grammatically incorrect language – we transcribe the audio exactly as it is. More details can be found here. What will my final transcript look like? Do you have a sample I can view? Absolutely! Single speaker transcripts have line breaks when there is a change in thought or topic – the same way you would format paragraphs. Each paragraph contains timestamps. Multi-speaker transcripts are marked with a timestamp and speaker ID each time the speaker changes. We also have a streamlined service without timestamps and speaker identifications. What is the difference between your Standard and Verbatim transcripts? Our Standard and Verbatim products go through both an initial layer of transcription, and then to our Quality Assurance Team to output our guaranteed 98%-100% accuracy. Standard transcripts remove “umms”, “ahhs”, “likes”, “you knows”, and other filler words in addition to stuttering. Please note that with Standard transcripts, we do not correct grammatically incorrect language – we transcribe the audio exactly as it is. Verbatim transcripts capture speech exactly how it sounds. This includes all filler words, stuttering and speech errors. Check out samples of our Standard and Verbatim transcripts and how they compare to our First Draft Service here. How will I receive the completed transcript? Once transcription is completed, you will receive an email notification with your transcript attached. Transcripts are available for download in Word, PDF, and HTML format in your Customer Portal Account regardless of where the transcription order is placed. If you have ordered NVivo format, this will be delivered as the email attachment and also available in your Customer Portal Account. NVivo Users: Completed transcripts are delivered directly to your NVivo Project in the NVivo Format. Evernote Users: A Word Document version of the transcript will be available in your TranscribeMe folder upon completion. App Users: Transcription text can be viewed in the app by clicking on the filename in your list of recordings. What format will the completed transcription be in? Transcripts are available for secure download in Word, PDF, and HTML, format in your Customer Portal Account. NVivo customers will also have NVivo compatible documents available for download. We accept most digital audio formats. These include: wav, mp3, mp4, ogg, aiff, aif, m4a, mov, wma, avi, flv, 3gp, 3gpp, 3ga, amr, caf, m4v, dss. As a rule of thumb, if you can play a media file on your computer, we should be able to transcribe it. Advanced users, please note that if your file format is not explicitly supported by the TranscribeMe Portal, you can rename the file extension to .mp3 and try to upload to the Customer Portal Account again. TranscribeMe continues to add supported file formats over time and we will do our best to process your file. I want only a certain portion of my audio file transcribed. Can I do that? We transcribe only the full duration of media files; however, it is easy to trim your audio or video using free software like Audacity or Quicktime. Please see this article for more information. Purchases can be made in USD, AUD, NZD, EUR, JPY, and GBP. Do I have to pay sales tax on my purchase? What about if I live in another state or country that requires additional taxes on services? TranscribeMe provides an online service which is not subject to a sales tax within it’s state of incorporation. You are not required to pay a sales tax on our service, even if you live in a state or country that would require sales tax for local services. What type of smartphone is the TranscribeMe app compatible with? Our iPhone app is available in the app store and the Android app is available in Google Play. Please see the TranscribeME app page for more information. Can I download my audio from the App? Once transcription is completed, the audio file is available for download in your Customer Portal Account. All you have to do is select “Source Media” from the dropdown menu to the right of the filename and click “download”. What happens if I get a call while the app is recording? As soon as you receive an incoming call, the TranscribeMe app is automatically paused. Once the call is finished, press the resume button and you can continue recording! When I’m recording for more than a few minutes, my screen turns off – is the app still recording in the background? Yes. Your screen turns off to save battery, but the TranscribeMe App is still recording your conversation in the background. My recording will not upload, what do I do? This usually occurs because of a connectivity issue. The best way to solve this is to fully shutdown the app, and find a better internet connection before opening the app again. If that doesn’t work, try turning your phone off and on again. Your recording is saved in your phone and these actions will not delete the file. If you experience issues with the delivery of your file, we will gladly do what we can to make it right. Please contact us and describe the issue in detail. Please provide the file name, email address used to upload your file, and a summary of the problem. We will review the issue and promptly get back to you. We will endeavor to correct any issues with quality of the output in the finished file. Please note that refunds are not available after the order is placed, as crowd workers immediately begin processing the file and are paid for their work. If we determine that your transcript falls short of our accuracy or turnaround guarantees, and your audio quality meets our minimum standards, we will fix your transcript or provide you with further transcript credit, or in special cases provide a full or partial refund at our discretion. 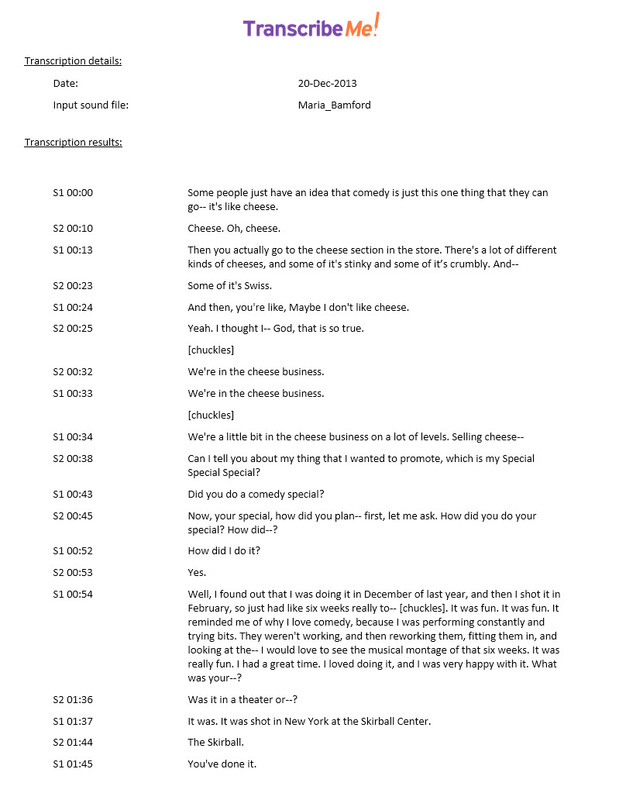 I am not happy with the quality of the delivered transcript. How can I submit it for review once more? It is paramount for us to ensure your satisfaction with the completed transcript and we are sorry to hear if you are not happy with the final output. Please email us with the name of the file, email address used to upload your file, and let us know how we can improve the quality of the transcript. Still have questions? Get in touch with us today.